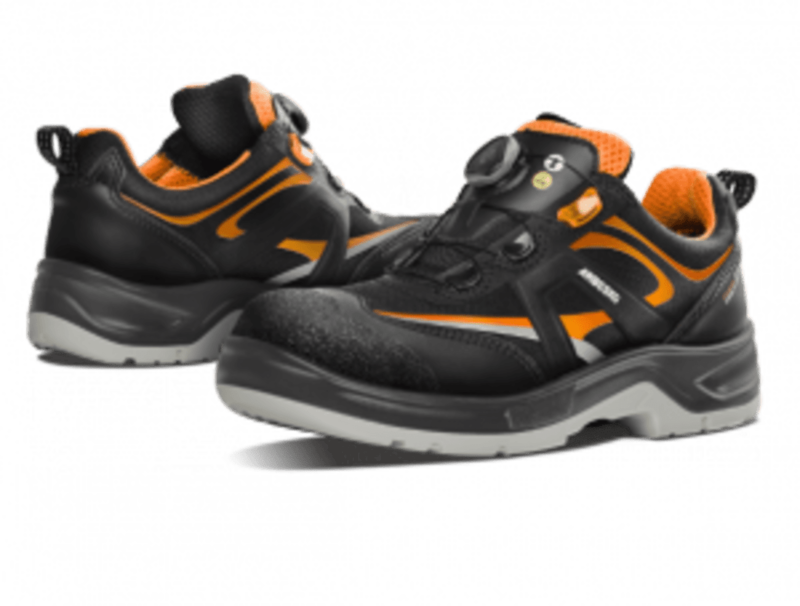 A brand new safety shoe from us at Arbesko is available at resellers across the Nordics – Arbesko 850. 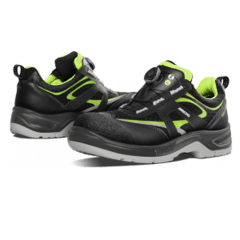 An airy, comfortable and supple safety shoe, with a cool design. – For us who work with safety- and occupational shoes the biggest reward is when someone tries on a new model and immediately notices the improvements we have worked so hard to achieve. Arbesko 850 is one of those models that’s just spot on, a safety shoe that our test panel has been enthusiastic about from the second they tried it on, says Richard Parent, our research and development manager. Arbesko 850 is delightfully airy, comfortable and supple. It features a hardwearing outsole with good grip and is equipped with the latest version of the Boa® lacing system, which means you can do them up on the go – and by the press of a button, undo them and take them off. Arbesko 850 also has a comfortable insert, which together with Arbesko’s unique gel cushion, Energy Gel® 2.0, strategically placed at the heel, takes cushioning, rebound and resilience to a whole new level. – The fact that we have been able to test and discuss pros and cons with those who will actually wear the shoes for hours on end is worth a great deal in the development process, says Richard Parent. – Together with our test panel we have achieved something really, really good. The shoes are supple, quick and easy to put on, but above all they are extremely comfortable! Arbesko 850 is available in shops now, and the sequel, Arbesko 870 will follow in September.